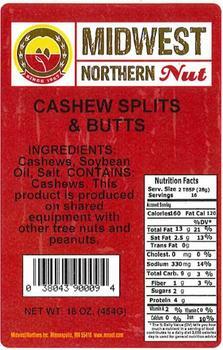 Midwest Northern Nut of Minneapolis, Minn., is recalling various products roasted in their facility. The products may contain peanuts and various tree nuts, allergens not declared on the label. No illnesses or reactions have been reported to date in connection with this problem. The recalled products were distributed nationwide. Consumers may have purchased them at the Midwest Northern Nut retail store in Minneapolis, Minnesota, or through their website. Consumers who purchased the recalled products may contact the company at 1-800-328-5502.